What was the most interesting thing you learnt about space whilst doing the Space Diary? I like learning all about the planet and that astronauts can still eat ice-cream in space but it’s freeze dried. Where would you like to travel if you were an astronaut, and why? I would like to go to Mars because it seems like a very quiet planet. What would you call your mission and why? Mission to the Core because I would like to see what Mars’ core looks like. You can take three things from home with you when you go on your mission. What are they, and why? My mum because she takes care of me. My teddy Piglet because I can cuddle him at night. My brother Jake because we would have fun on Mars. What would the top three songs be for your Launch Day playlist? Happy by Pharrell Williams because it it makes me happy! How Far I’ll Go from the Moana soundtrack because it’s my favourite. Bennie and the Jets by Elton John because we love to dance to this song. Listen to Luke’s Launch Day playlist below! What would your first meal be in space and how would you cook it? I would eat a burger that comes in a squeezy tube and also ice-cream that’s freeze dried; it’s yummy! We chose Luke as August’s Star Apprentice after receiving a very heart-warming note from his mother, Laura, when she applied for Luke’s graduation. I am a home educator for my son Luke who is 7. He has special needs where he gets very anxious and doesn’t concentrate well. All that changed doing the Space Diary; he suddenly became eager to complete the chapters, he has learnt so much and constantly goes around telling anyone that will listen [about the] facts he has learnt from the Space Diary. Luke enjoyed watching all of the videos attached to the chapters and even began searching for other videos on the internet. He has got his brother and nan involved in the Space Diary too which was lovely to see. 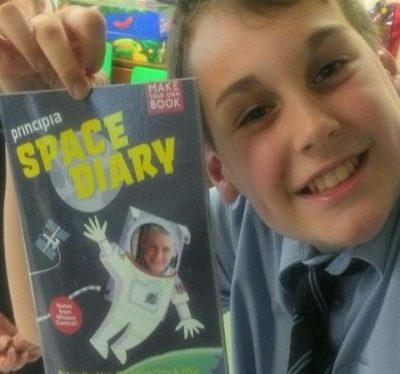 Luke can now tell you the names of astronauts, what they do in space and is still, even now after we’ve finished the Space Diary, researching planets and what they are like. He is very eager to be an astronaut himself and wants to discover a new planet. 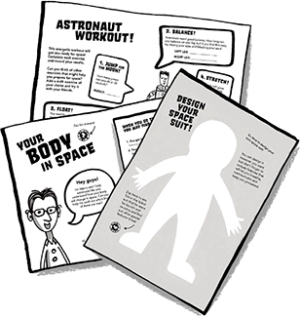 I absolutely love the Space Diary and what it’s done for my son’s confidence and learning. It’s been an amazing experience where I have learned new things myself. Our favourite activity was about nutrition for the astronauts and what they eat while in space – we even tried astronaut ice cream which was lovely as Luke is very fussy with food textures and he couldn’t wait to try it and be like the astronauts. We also enjoyed learning that astronauts grow some plants/food in space and we decided to grow some rocket and potatoes which Luke enjoyed very much. Our whole experience doing the Principia Space Diary has been magical. I am so pleased that we decided to do it and I am amazed at how it’s made my son come out of his shell and be transfixed in a topic for a long period of time. He has come on leaps and bounds since we started the Space Diary in January and I can’t thank you all enough for making this amazing project for us to do. 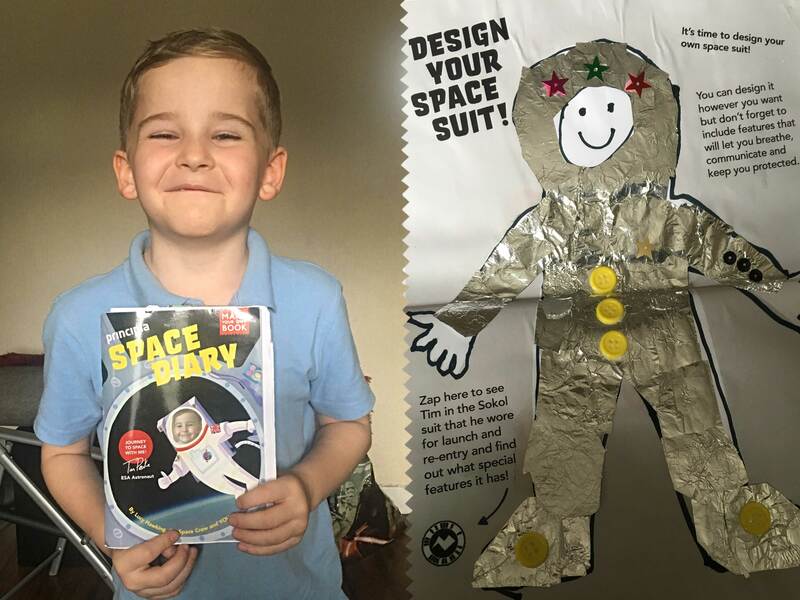 I have highly recommended the Space Diary to a lot of people and Luke is so excited to receive his certificate from Tim Peake, as he has quickly become one of Luke’s heroes. Abbie Hutty on finding life on Mars and how engineers have all the fun!